The interior of this large gazebo can nicely mimic what the rest of your new home could look like. 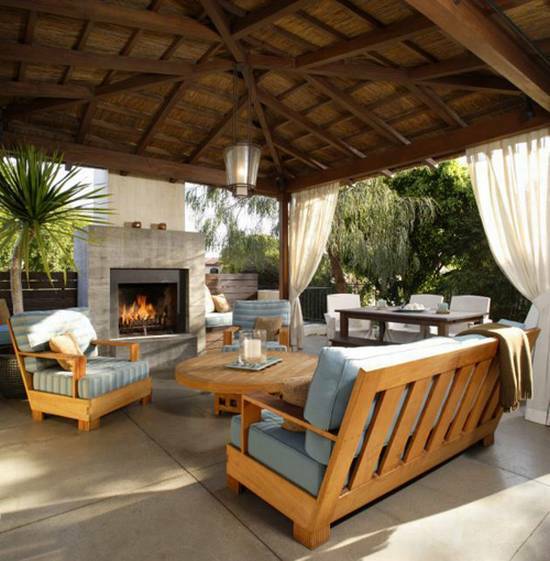 Solid wood furnishings flanked by a handsome fireplace with additional seating built on each side gives this gazebo a luxurious feel. The softness of white linen drapery and light blue fabric cushions creates a soothing and cohesive outdoor living room. 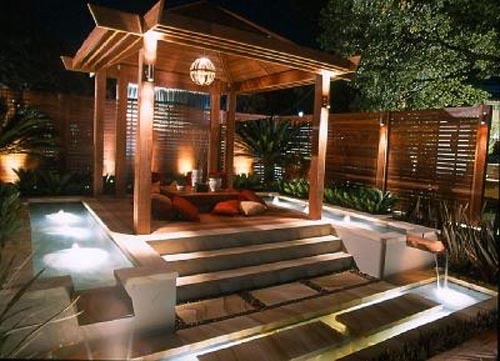 This Balinese style gazebo flanked by concrete steps and lit-up fountains requires an intentional plumbing and electrical plan by a qualified landscape architect. These new home owners carried through the theme by using complementary materials in their fencing and gardening. For a low cost alternative, consider arranging toss cushions around a lowered coffee table atop an area rug. This Hawaiian inspired gazebo features a simplistic designed banquette seating arrangement along 3 walls. 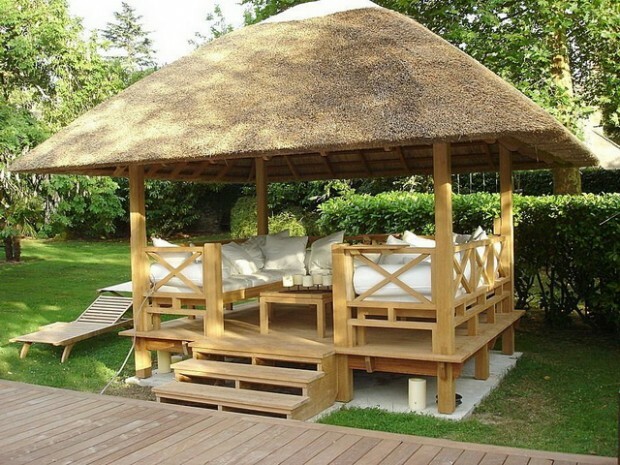 If you’re concerned about matching your gazebo to the rest of your new home, consider custom canvas fabric or wood panels. Custom built-in seating like this offers great comfort and style, allowing you to slipcover the cushions in varying prints colours for maximum versatility. 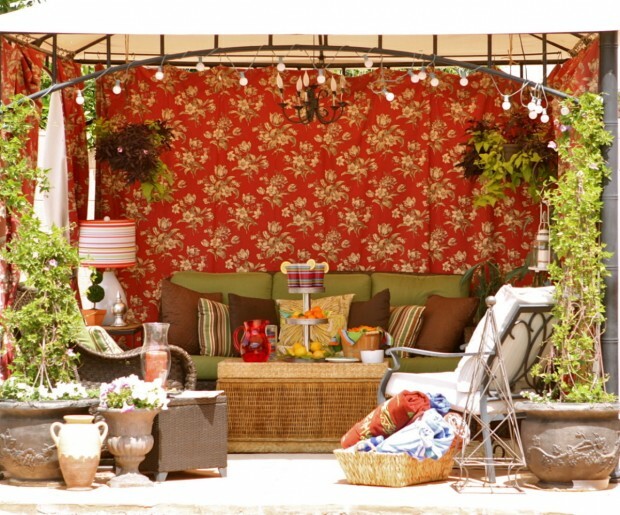 Splurging on your outdoor patio may not be in your new home budget this season, but that doesn’t mean you can’t have a dramatic effect with a standard off the shelf gazebo like this one from Sun Joy which you can find at stores like Home Depot. Lots of seating, lighting and accessories help make this an inviting outdoor living room finished off with dramatic floral curtains. For more great design inspiration and DIY tips for your new home, be sure to visit the Mosaik Homes Facebook Page!